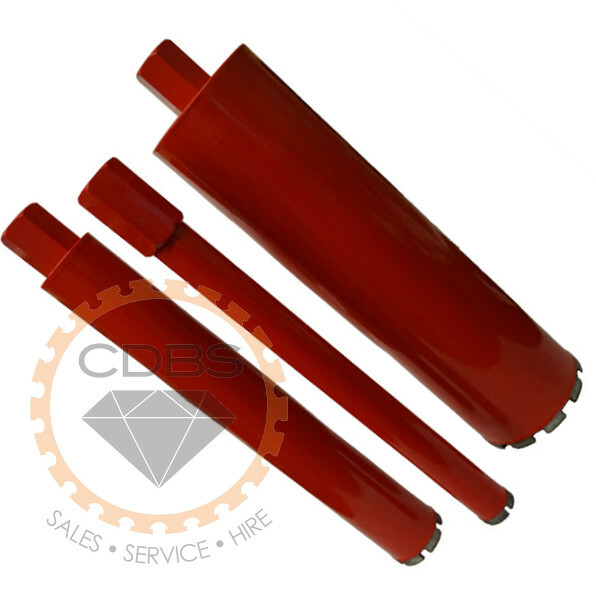 Trade quality silver brazed diamond core drill barrels. Great value for money! Brazing is a versatile joining method that produces a permanent, strong, joint between the steel core and the diamond segments. While not as strong, hard wearing and heat resistant as a laser welded core drill bit, brazed core drills offer a cheaper option for tradesmen. For professionals who use core drill bits regularly, we recommend Laser Welded Diamond Core Drill bits for best performance and long term value. These quality brased core drill bits have a 350-400mm barrel length on sizes up to 38mm. Standard barrel length is 450mm. Each Core Drill bit has a standard 1 1/4″ UNC female thread – this fits most core drill machines.